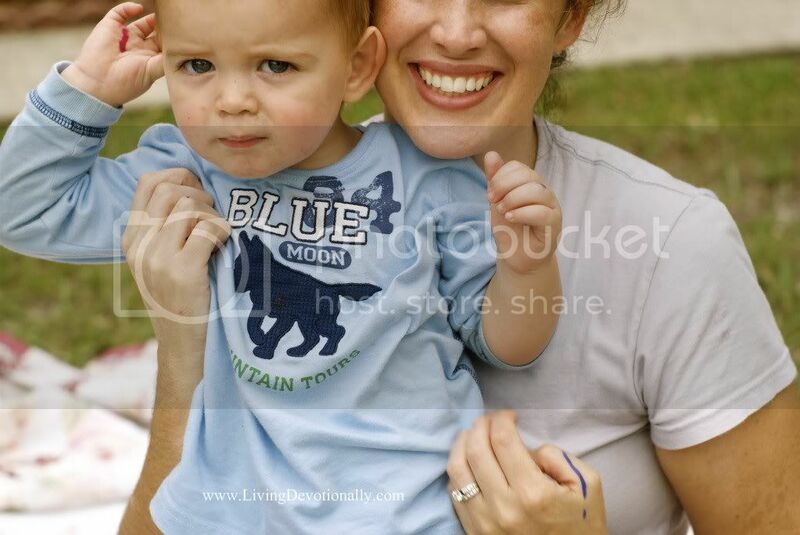 My blogging journey began on May 4, 2010, four days shy of my third-born’s 1 month milestone. I sat excitedly in front of the computer screen with baby Michael peacefully napping in my lap and I began to write. I had no idea what I was doing (nor the can I was opening,) yet even in my cluelessness I became a writer that hot Florida day. In the small step of starting something I began my journey towards a dream I didn’t even know existed. I quickly found that I immensely enjoyed and desperately desired the processing that came with getting my words on a screen. There was much to learn (and still more) on the mechanics of writing, but communicating my thoughts, heart, and lessons learned became a natural and needed outlet. The outlet of blogging soon became more than just a hobby. 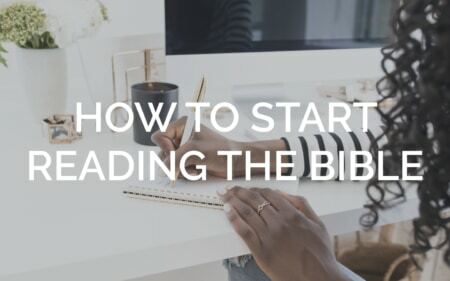 It became a ministry, a job, and eventually an avenue to traditional publishing. Five years later (having just submitted over 75,000 Bible study manuscript words) I sit in front of the screen a bit word-dry (as my friend Stacey calls it) and again unsure of exactly what to write and what looms around the corner. My sweet Michael no longer fits in my lap for a peaceful nap, out my window is the lush and rolling bluegrass hills of Kentucky instead of the flat palm tree laden sands of Florida, but this I do know: I’m called to be here, in front of this screen. I still dream of being influential (and admitting this dream still scares me). Though I know see that influence isn’t just for a few. God has given us each our own platform — whether big or small — to steward for His glory. There are loads of big ideas in this head of mine for all I might attempt in my little corner of the web, yet I quickly get overwhelmed with the details and dedication needed to make it all happen. But tonight I’m reminded that I don’t need to conquer the world in an hour (nor is it mine to try). I simply need to start small and follow God’s lead as I did five years ago. And so, I’ll quietly write one blog post and see where He takes me next. I long to abide—to stay in deep fellowship with my God. The thought of holding on for a lifetime is wearying, but there is great, sustaining grace! I teeter between devotion that fuels me forward for a while, followed by despair that my efforts didn’t take me further. The trap of comparison strangles. If I spend too much time thinking I should be this or that—or her—I become paralyzed with all I am not. I don’t need to be a full-time missionary, have gone to seminary, or homeschool my kids to be approved. I am only to do my best. Right here. Right now. God doesn’t expect me to be something I am not called to be. He only wants me to do my best—not someone else’s best—right where He has placed me. What great and glorious grace I have been given! Thousands upon thousands of mercies He has extended me. Oh, how I want to give all of me to thank Him! Every day—every moment—is an offering to Him. His Word is living. His Word is active. My bread and water for each day—an abundant source of life. These are the prerequisites to handling it rightly. So, I will do my best right where He has called me. I will live each moment as an offering of thanks. I will strive to know and understand His Word which will guide the way forward. Abide. Remain. Do not depart. This is what we have been charged with. The Christian life is all about holding on and staying connected to the source of all we need. I long to be tied to the dock—for a lifetime. Not just today, tomorrow, or next week, but to the end. Honestly? The thought of holding tightly for a lifetime is wearying. I cannot hold on—I will not hold on—without His hands surrounding mine. When my little ones are learning to swing, I cover their little hands and grip the chain. When they let go they don’t fall because my hands are surrounding theirs. I am holding on for them. Grace is His big, strong hands covering mine. Gently yet firmly grasping the rope with my hands safely sandwiched between. I grew up on the water. I learned to water-ski when I was four. My dad was still skiing in his sixties! As a kid, I loved to sit at the front of the boat, hands gripped to the sides, my nose stretched out far enough to just beat the front of the boat. I learned young how to protect Daddy’s boat. Boats are not like cars, which stay put when you turn them off. When you are in the water, the boat is always moving. Even when it feels still, if you aren’t tied to the deck the boat will float away—even in the smoothest of waters. The Bible is clear that there are two paths. I am following Jesus, or I am not. I am living the Spirit-filled life or I am being influenced by something else. I am allowing God to permeate and affect every area of my life, or I am holding the control in my own hands. There is no in-between in the Kingdom of God. I am tied to the deck, or I am drifting away. Even if it is just because I fell asleep and let go of the rope; without intentionality I drift. We can learn much from the blessed man of Psalm 1. The blessed man is intentional to not just run away from God, but pays attention to where he is walking, standing and sitting. The written word of God brought this man delight. It is a pleasure to get a pedicure. I love getting to sleep in. My two-raw-sugar-no-foam-with-whip-latte is a treat. A facial? Yes, please! These are all things that being me physical pleasure. Though, I must ask myself: Do I delight in God as much as these? What a confidence in life, to know that I am known and still loved. Why would I ever want to let go of the only One who knows all there is to know about me—yet still pursues me? Blessed is the woman who is tied to the deck. I struggle through the funk of depression, and ride the wave of figuring out what works for us; press past the pursuit of the ideal, to find the realistic. It’s hard to make these decisions. Endure the thoughts and judgements of others; worry that I’ve lost respect. There are a few things that I hold to, through this bumpy time. Tangible facts I can tether my feelings to, and drown out the voices of disapproval—including my own. Markers which give me confidence that the Lord had led us here for a time, even thought the “right way” wasn’t always clear. I am within Biblical boundaries. I am not walking in a pattern of sin by working outside of the home, or not homeschooling. There are no direct commands that I am disobeying. I am above reproach. My husband is with me in the decision. He was the one who first suggested I go and look for a job. He has been in agreement with all the changes we’ve made, and he still supports them. We’re in this change together. I’m walking with the Lord. I’m in the Word. I am listening to His Spirit the best I can. He is near. I am experiencing His grace, and the good news of the gospel more and more every day. I am safe in His presence. My motives are right. I am not setting out to climb any ladders, or find my significance in my performance at work. I am not working so we can be more comfortable financially. I work to see if this depression will keep at bay. My soul is getting better. Through having a new routine and a few days in my week that I can control and produce results, a part of my soul, which for years has been suppressed and told to hush, is now allowed to show herself. Perform. Keep things nice and organized—without anyone there to mess it up. And when I head home to the mess and chaos, the organized, non-flexible part of me can rest, and know that she will get her time again in a few days. Many of you have been kind enough to share your own struggle with me, and I thank you. It has been a gift, to be embraced in my struggle and not criticized. My prayer for us all is that we can walk with the Lord, and then walk in confidence to where He leads each of us. This is our last week of Write It, Girl. What a journey! Thank you for joining Stacey and me. We have another treat for you, this week from the fabulous Emily Freeman of Chatting at the Sky. When was the moment I first believed I am a writer? oh wow. Why is that so hard to answer? I think because even now, after having written a blog for six years and two books for a publisher, calling myself a writer still makes me feel a little school-girl silly. It’s because I so greatly respect the title. It’s because I so love the title. It’s because I’m a little shy of the title. I think I began to know it for sure when I stopped writing after my husband and I were married ten years ago. And for those few years, I felt a little lost. When I started Chatting at the Sky in 2006, my soul began untangling and it was then that I knew, oh. I feel more myself now. Maybe I’m a writer. Funny how writing was the thing that convinced me I’m a writer. Maybe it’s that way with everyone? Emily is bringing back Tuesdays Unwrapped for the month of December. Check it out! Link up below! 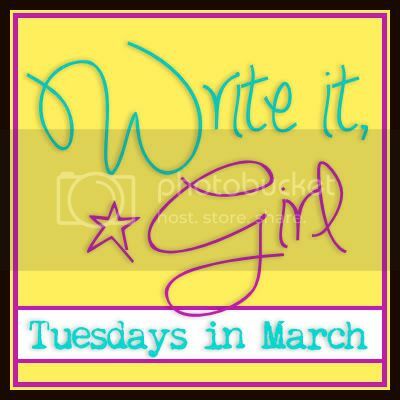 Anyone is welcome, just be sure to link up to your own Write It, Girl post (not your homepage), and comment on at least the post before yours in the link-up. Of course, we would love it if you use the button so we can find each other! Today we have a special treat! Lisa-Jo who blogs over at the The Gypsy Mama is sharing with us about how she has become able to call herself a writer. I never thought I wanted to be a writer. I wanted to be a human rights lawyer. And then one day at the end of a conference the only female presenter in a sea of men asked me if I had kids. She kept hearing from others that she couldn’t manage kids with the cross-continental work she was doing. And surrounded by people who wanted to talk to her about human rights I got to encourage her about how I balance the calling of motherhood with my other work. So, I have been thinking about you today because I am at a conference discussing some groundbreaking work to bring justice to the poor and afflicted. For many years that is the kind of work I have been involved in also. But, I have consistently felt this call on my heart to speak into the lives of women. Young mothers and wives who feel that what they do isn’t important. I don’t know many who would consider that a needy population group. But I sure do. I am them. So, I blog. I write my heart out to this beautiful audience who need to be encouraged as I wish someone had done for me. Because young mothers and struggling women have great needs too. And while it’s not my job, it is my delight to be used by God to be part of the plan for meeting them. That was three years ago this New Year and the first time I truly believed I was a writer. Being able to encourage women at The Gypsy Mama and share the good, the bad, the sacred, and the beautiful about motherhood -it’s been the most fulfilling writing experience of my life. Thank you, Lisa Jo, for sharing your heart with us! 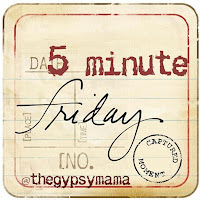 If you haven’t already, be sure to check out Lisa Jo’s writing prompt, Five Minute Friday. The time has come! Link up your posts below. 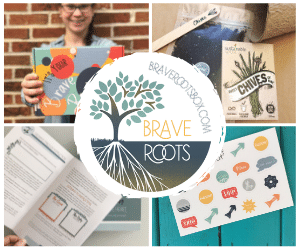 Stacey and I are overwhelmed by the response to this fun little linky. I am sad that I have been unable to respond to each of your posts, but know that I am reading them and enjoying every minute of it! I found my first big calling in college. 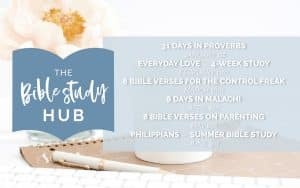 As a student involved in Campus Crusade for Christ, I grew tremendously in my walk with God, and quickly began serving alongside the staff at Auburn University, to help disciple women and bring the gospel to the lost on campus. After my time at Auburn, I moved to Jacksonville, and quickly got involved in the Crusade ministry there. 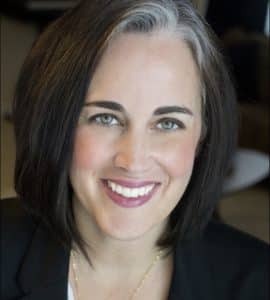 I was handed the women’s ministry and dove head first into leading Bible studies, one-on-one discipleship, and outreach opportunities on campus. Then I came on staff full-time to continue this ministry. I poured my life into my disciples. I shared my faith regularly. 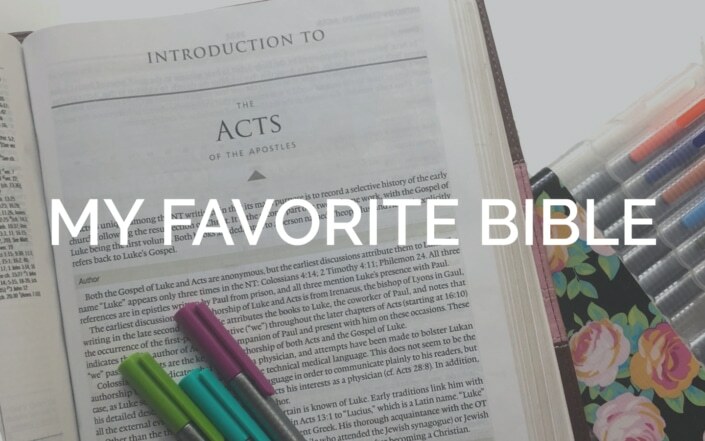 I got to continually impart the truths of scripture. Through my ten years of ministry with Cru, I found my calling and what God has built me for. I am called to passionately teach the Word of God. I am to train and equip the saints to walk with God for a lifetime. And then I became a mother and I was given a new calling. A calling to be their mom. Motherhood is a high calling. It is a privilege. God has entrusted me with the lives of these precious souls, and it is not a role I take lightly. Is the calling of motherhood the only one I can have, and still be a good mom? Can pursuing both callings actually make me a better mother? I love my kids, and I am so incredibly grateful to the Lord for them. They are truly gifts. Yet, I feel as if I lost a part of myself when I became a mom. Recently I have taken steps toward fulfilling that first calling I heard from the Lord, I am slowly seeing a part of me come to life again. This isn’t the post where I tie it all up in a nice bow, this is just where I am at and what I am wrestling with. I wonder if you might be struggling with your calling as well? How do you balance this great calling to motherhood with the calling toward ministry which takes time and energy away from your family? 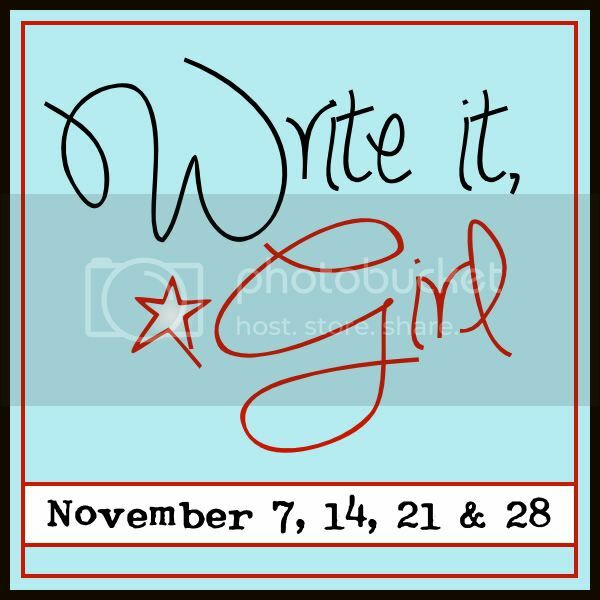 Linking up with Write it, Girl! Since I am on this journey to just write, and to share my life with you in a more deep and honest way, I’ve been going back to those 10 unpublished posts I mentioned—the posts I have been afraid to post. I published one of them last week, and all I have to say is WOW. The response to it has been incredibly humbling and enabling at the same time. Thank you for your gracious words and encouragement. It does a weary momma’s heart good. This one has been sitting in my draft box for seven months, yet the reality of the struggle is near. I find myself bawling on the way home from the Doctor’s office. There is something about that place that brings out the worst in my kids. I knew I shouldn’t have gone with all three—it is a recipe for disaster. And a disaster it was. Spent, tears well up as soon as I leave the building. Frustration. Anger. Embarrassment. Shame. 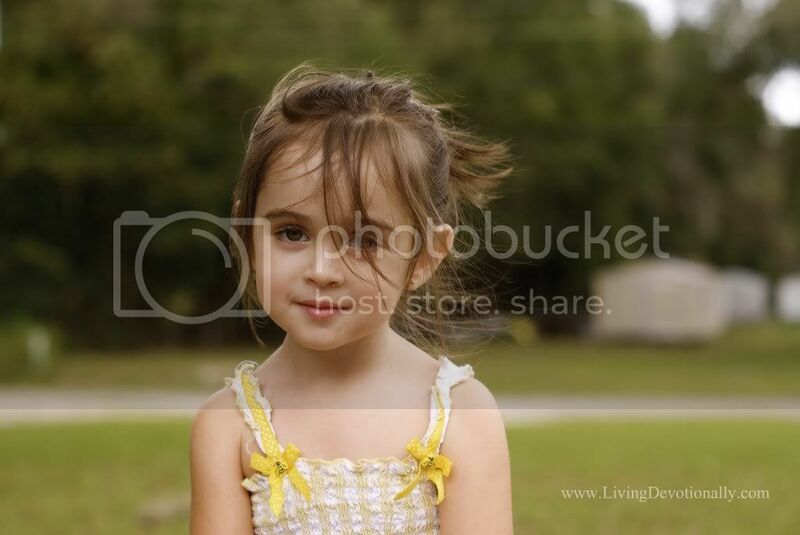 I’m not ashamed of my kids, but of me; of how I feel about my kids at that moment, and how I just want out. Out of this motherhood thing. This is the only thought I can manage. I can’t do this. I CAN’T do this. I CAN’T DO THIS. This being a momma; it is too hard. The screaming. The whining. The fighting. The dishes. The laundry. The interruptions. As much as I want to run home, put Max and Ruby on for the kids, and collapse into my bed, I can’t. Antihistamines and antibiotics have to be dolled out, and there’s a line. I pull the car into a dusty, empty lot, and cry. He says he can’t be good either; he needs God, too. We get through the car line at CVS and head home. I can’t help it, I am still crying. Overwhelmed. Exhausted. Defeated. Kenneth says “Mommy, will you pull over? I want to do something.” Bewildered, I pull over. 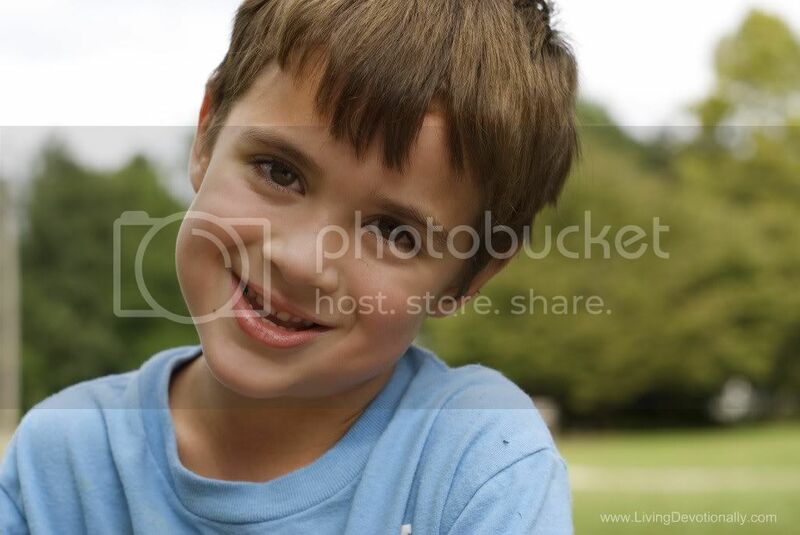 This five-year-old gets out of his buckles, steps over the molding sippy-cups. and ground-in Cheez-its, down the aisle of my blue mini-van and hugs me. With all his little might he hugs me. I sob. I can’t stop. I am a complete mess. I am not even sure where to go from here. I know what is true. I know I’ll get through this. I know I need Jesus. But in these overwhelming moments, which come all too often, it is incredibly hard to preach the truth. My mind will listen, but my soul ignores.